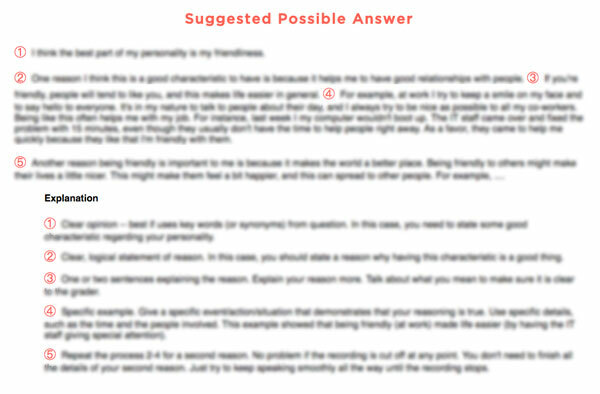 ✓You receive an example of an answer that would receive a high TOEFL grade. ✓Each part of the answer is numbered and explained. Note: With any paid test, you also receive Customized Grader Suggestions based on how your answer compares with the Suggested Possible Answer. These suggestions can help you to improve your score as quickly as possible.